The picturesque city of Amsterdam plans to crack down on tourists as local residents have become increasingly fed up with the "nuisance, crowds and rubbish"
Some 18 million tourists visit Amsterdam every year—more than the entire population of the Netherlands— and local residents have become increasingly fed-up at the deluge. The city's picturesque narrow streets and canals now sag year round under the weight of all the visitors, including increasing numbers of raucous and unruly stag and hen parties. Under a plan "to seek a new balance" put forward by the four parties forming the city's next coalition council, popular activities like beer-bikes and boozy boat trips will be sharply curtailed. 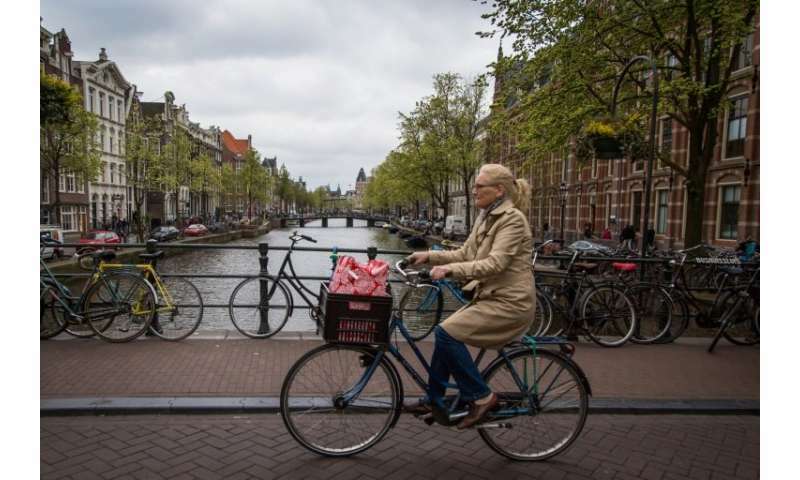 "Tourism is part of the international culture of Amsterdam, which we should continue to cherish," the plan says, a copy of which was obtained Thursday by AFP. But due to "nuisance, crowds and rubbish, some neighbourhoods are under extreme pressure." Amsterdam is first and foremost "a city to live in and to do business," the plan says, adding "it is only secondly a tourist destination." "We are looking for an alternative location outside of Amsterdam," the plan says.